Keala Kanae’s AWOL Academy is an online training platform which teaches affiliate marketing and how to use Facebook ads and other PPC paid advertising to generate traffic on landing pages from where you collect email addresses which you can later use to promote products and offers by using email marketing. Is this Course a Success or Not? The business model taught in the course is affiliate marketing by using paid advertisements. Affiliate marketing is basically marketing other people’s product on your website by displaying a link to purchase that product, every time someone clicks on that link and purchases the product you earn a commission. Commission ranges from 10%-40% and the customer conversion rate is quite low, so you must know how to drive huge traffic on your website and make good sales. AWOL teaches you how to use the Facebook ads to drive traffic, this is a paid advertising. Hence, the problem here is you have to pay $100-$300 per day to drive traffic on your page, which is a huge budget. Also, no matter what is your conversion rate high or low or not at all or you’re making a money or not in comparison to how much you are paying to drive traffic, Facebook will spend your money regardless of anything. You are also taught to use landing pages to collect more and more email addresses so that you can promote your offers by sending emails over time do more sales. The main problem with the strategy which AWOL uses is the high dependency on paid traffic. Paid traffic means you have to convert more and more sales to recover your investment on driving traffic. If you don’t convert sales you are losing money. 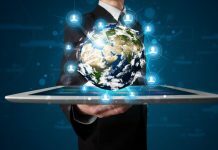 Hence, the Return on investment gets low in paid traffic instead of free traffic where there is no expense to generate traffic, no doubt that generating free traffic requires a lot of patience and great skills. The training which AWOL is providing is very much broad. It teaches you all the nitty gritty regarding affiliate marketing business by using paid ads with email marketing but it fails to get specific on each area of affiliate marketing like how to select a niche, how to generate a premium traffic on your page? It teaches you everything from a birds point of view but fails to give insider look into the market which is not a good way of teaching the newbies who want to enter in affiliate marketing business. Every niche has its specific requirement and specific way of selling hence, selecting a wrong niche in which you are not good at or failing to justify your niche can make your business a loss-making business. Another negative side which we think about AWOL affiliate is that they allow their student to promote the course as an affiliate. Which raises many questions regarding the quality of the course like is Kaela Kanae is earning good because the course is good? Or because he is allowing the students to promote the course as an affiliate. This kind of question decreases the credibility of course. This provides the business opportunity for students as they are the affiliates and can earn commission by selling the course but this never means that the course is good. By going through the AWOL course we see that the course is too basic for anyone to grow and get the great results. Since the course teaches how to use paid advertising to generate traffic, a student must have some budget kept aside for that. Spending money on Facebook ads doesn’t mean that you’ll make money as it is nowhere related to more conversion or more commission. To pull it off the students requires much more training and knowledge which course lacks for newbies. 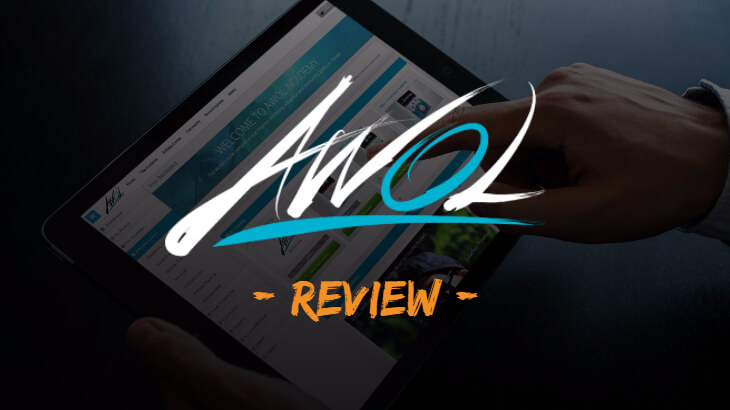 As AWOL allows the members to promote their course as an affiliate it creates suspicions regarding the credibility of the course that is it really good or they are just trying to sell it because it is giving business to them. Kaela Kanae may not be the best affiliate marketer but he is an expert who developed very good skills to sell courses. He is able to sell courses with his great selling skills but the course is not proportionately good as compared to the way it is marketed. It is advisable to the people who want to establish a great online business to use free traffic business model which will be a time-consuming task and the quality of the content must be great but that only will provide with the long-term customer base and produce a consistent result. You might be able to make quick sales here if you go for paid traffic but that will take away the major chunk of your income and that there is no guarantee that investment you do gives you greater returns. Just work on developing skills which will make you all valuable person in the market and will get you a loyal audience. When you know how to make sales and have a great reader base without spending even a penny, it makes you stand out of the crowd and makes your online business well established. So try to improve your skills!